How does a piece of paper posted on a bulletin board lead to a software company that’s used by over 30,000,000 customers? As a student, David Yang had an idea for a company. So he posted a simple message on a school bulletin board, “I’m looking for a computer engineer.” That led to the founding of ABBYY, a leading founder of document recognition, data capture, and linguistic technologies and services. For example, when people fill in forms by hand, many governments and companies use ABBYY to read what they’ve scribbled on those forms–which is stunning because most people can’t read their own handwriting, and here are computers doing it. David Yang is the founder of ABBYY is a leading provider of document recognition, data capture, and linguistic technologies and services. Andrew: I’ve told you about them for ever, so you probably already no the names of my three sponsors, right? For example, if I asked you, “Who is the lawyer that Track Entrepreneurs trusts because he understands the start up community?”, you probably know it’s Scott Edward Walker of Walker Corporate Law. And if I asked you where should you send your friends who want to build online stores, you’d probably tell me Shopify.com, because Shopify stores are beautiful, they’re designed to sell, and Shopify makes sure that there won’t be any tech support for you to do, because they’re easy to set up. Finally, if you have a friend who says, “Hey, I want a phone number, and then if somebody presses one, I want it to go to sales, and if they press two, I want it to go to tech support’s cell phone number, and if they press three, I want it to reach my home cell phone number, and all that stuff.”, where do you send them? Of course, you send them to Grasshopper.com. Three great sponsors, and now, I’ll start with the interview. Hey there, Freedom Fighters. My name is Andrew Warner. 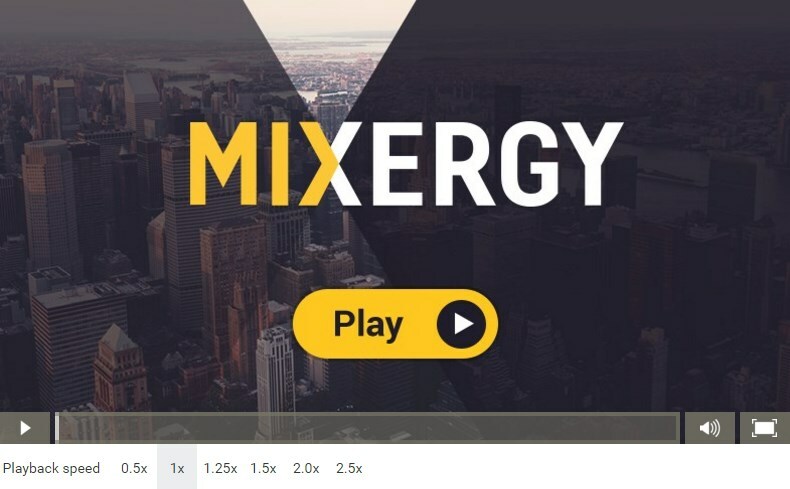 I’m the founder of Mixergy.com, home of the ambitious upstart, and the place where I’ve interviewed over 800 entrepreneurs, and heard their stories about how they built their businesses. In this interview, I want to find out how a piece of paper posted on a bulletin board, led to a software company that’s used by over 30,000,000 customers. As a student, David Yang had an idea for a company. So he posted a simple message on a school bulletin board, “I’m looking for a computer engineer.” That’s what is said. That led to the founding of ABBYY, a leading founder of document recognition, data capture, and linguistic technologies and services. To give you an idea of what they do, for example, when people fill in forms by hand, many governments and companies use their software to read what they’ve scribbled on those forms – which is stunning because most people can’t read their own handwriting, and here are computers doing it. David, thank you for doing this interview. Andrew: You started this because of an idea you had in school about people’s reluctance to study languages, right? David: Yes. Actually, it was French exams when I came out with the idea to make a software helping people to translate from one language to another. Andrew: And your vision for it was going to be what? What did you think it would look like, and how would it work? Before you even posted that note that I talked about, what did you think it was going to be? David: The original idea was just to make software that would help people to learn foreign languages, the French language in my case. But then I came up with the idea that if I was to do a really commercial product that was focused on the English language first, and then other languages second, people would probably use language to understand foreign taxes and documents. So rather than making software that would help people to learn the language, maybe it would be better to make software that would help them to translate it. So our first commercial product was an electronic dictionary. Translation software. Andrew: Oh, it was just a dictionary? You type in one word in one language, and you see it in another language? David: Yes. Actually, you don’t type, you just capture the word, or several words from your screen. So it was an old time DOS operating system, black screen, remember? So we did a resident software which only took a 32 kilobyte footprint of memory, and it was able to capture words from the screen. And, actually, it just helps to read even when you don’t type. You can just move your cursor and it will give you a translation of words. Andrew: And what year was this? David: It was back in 1989. Andrew: 1989. And so you posted this note on a bulletin board. What was the response to the note that said, “I’m looking for a computer engineer.”? David: Yes. I was a student physicist and I never wanted to give up my physics. The idea was just really crazy. In July to develop the software, and in August to sell 100 copies for $100 each, and that was it. In September, I would come back to school. I found a program, our engineer who agreed to do that 50/50 venture. My job was to raise money in several days and to find a company who would provide us translation content. Everything was very quickly in our hands. Andrew: When you say translation content, what do you mean? You mean the [??]? David: The dictionary, the idiomatic dictionary is when you have several words together translated and different other [??] examples and different other lexicographical data. Andrew: He was going to develop it. You were tasked with finding money to fund it and you did. Where did you find money and how much? David: I think it’s really crazy. It’s impossible to raise money in one week but what actually happened, not too much money. It was $3000 and if we convert to current dollars, so one company, today such company should be named as [??] incubator type which [??] time, actually it was after Perestroika so we had a lot of talents during [??] talents but financial system was completely destroyed but still Gorbachev organized such early stage youth sectors who helped people, [??] entrepreneurs to do something new and it was really [??]. So they agreed just to [??] dot matrix printer one page idea business plan and just gave us [??] money, $3000. It was enough that time to get license on content and [??] content. Andrew: And it was a $3000 loan. To put it into perspective, you told Jeremy, who pre-interviewed you, what your scholarship was. How much money were you getting from the school? David: My scholarship was $55 a month. Again, it was enough to buy some snickers, eat [??] go every [?? ], so like an entrance, a ticket was like $1 to discount. Andrew: Unbelievable, and with 50-some odd bucks you’re able to live, 3000 bucks is what you get to start your business and you start to take off from there, but I’m sure the person listening to us is wondering where there was. You were going to the Moscow . ..
David: Moscow Office [??] Physics and Technology, MYPT. It’s like Russian MIT. It’s the number one institute, university in physics and technology and people, in order to enter this institute you should train yourself about ten years before [??] part of your life. Yes, so that’s what is it? Andrew: Where are you from originally? Where’s your family from? David: My family is from Armenia. My mother is Armenian, my father is Chinese. They both are physicists. They met each other in Moscow State University, so I wanted to become a physicist since I was third grade, elementary school. Andrew: You got the hard work ethic from your parents. In fact, your father used to talk about how they started, how his family started. Can you tell the audience about that? David: That was really an interesting story. Many years after that I knew that my grandfather started his own business in Shanghai, in 1920s. He was a developer. He, now we can call that business development and business construction building, but originally he came from a poor family with no money at all. He entered, like he told, with two fists in his pockets and nothing else. And he had relatives who gave him a bed and breakfast and five cents a day – literally five cents a day – just for daytime eating, but he collected this money in order to buy his first thing in his life, and this first thing was a dictionary. He bought an English-Chinese dictionary and he was working as a worker, a laborer, but he thought that he can make much more and that he can construct buildings and he bought an English dictionary. He learned English with just a dictionary and he was able to communicate with American and French and other customers who ordered to that and he immediately became a higher position among other laborers. Then he became…actually he opened his own business. In twenty years, actually, he became quite a big developer in Shanghai. Andrew: Unbelievable! And it shows in the decision that he made to buy the dictionary to get another step forward. David: Yes, and I never knew this story because I only…all of my life, I wanted to become a physicist like my parents. And when it happened, at MIPT when I was a fourth year student, I started to do the electronic dictionary translation software. I actually had shame because I thought my parents would never understand me, but two years after when we already a thousand, well, at least had at least a hundred or hundreds of thousands of users already, I told my parents that I think I will give up physics, at least for some time, and I will do dictionary software and my father then told me the story about grandfather. Andrew: Wow. Not only was he not disappointed, this was part of your heritage, this is the spirit. David: No, he was not disappointed because already at that time, we started artificial intelligence software in optical character recognition. We actually had a background in artificial intelligence computer science in our classes since 1995, when I entered MIPT and we did recognition science and AI and I was involved with my colleagues who were older than me. So, we did this artificial intelligence and it is mathematics, but it’s a science and it’s a very interesting thing. So after the dictionary, we immediately switched to…we started to commercialize and develop whole recognition software. Then it appeared as a FineReader product. Andrew: So had the sense that you have an idea, you now have a developer because you spoke to him and he’s willing to take this 50/50 split. You’re going to develop the product quickly, sell it quickly; I think the idea was develop it in a month, sell it in a month, go back to school. How long did it take to actually develop that first version? David: Actually, it was never…you can never do a commercial product in a month. Now I understand. It took us about nine months to one year. So the first product we delivered to our customer, the first customer, that we delivered in nine months, was a particularly early version. Then we released another version that was more stable. A year after that first sale, we had 15 products sold, not hundreds like we wanted originally. Andrew: How many copies of the product were sold? David: Fifteen legal copies were sold. Andrew: We’re going to get to the illegal part because I see that played a big part of it, but I’m wondering…fifteen doesn’t sound like as much as you wanted of course, but it’s sales. How did you manage to get your first fifteen customers? David: Direct sales. I took a phone book and called organizations, institutes, certificate [?? ], different structures. Google, and just direct sales. I said, “We have software that will help your company to translate.” And people were interested, but it was too new for them. It was first half a year, and second half a year. Actually, it was different. A typical phone call conversation would be that when I called them, and they transferred me to their IT department, [??] said, “You know, I don’t know your name, but first, we already have a lingual translation software, and second, don’t tell us that you are the developer of the software.” They got the software illegally. Andrew: How did they get it? David: They didn’t tell us that they got it illegally, but they told us, “We have lingual translation software on our computers, that’s it, we don’t need it anymore. And don’t tell us that you’re the developer, you’re probably somebody who wants to ask us to buy something.” We’re proud of ourselves that in six months, every third organization we called already had the software. It was really cool, but it didn’t help us to sell it. So we sold 15 copies – not at $100, but at $700, by the way. David: So actually, we almost did our financial plan. Not in one month, not $3,000, but we were finally able to get back the loan and earn some of our own pocket money. David: But eventually, we got big product awareness, and private awareness. Andrew: And a lot of it was from people who stole copies of it, but they were aware. So now that you see what’s going on, what do you do next? The people like your product, but there’s this big risk of illegal piracy. What do you do to [??] your business? David: The big challenge we had, actually, two or three months after the idea, after we had already raised money, and already started this development was we’d already spent this money for our common vendor, and it was only then that we realized that we were actually not alone, and that this idea had already come to many different people, and there were already commercial dictionaries existing on the market. And that was a really big mental problem to us, because we were scared that we couldn’t do what we wanted. But we still decided to go ahead, and our product became more popular than other products. I don’t know why. Because of a better interface – which, almost, didn’t change from that time, by the way – and because of better content? I don’t know, but anyway, our product became much more popular than the others. And we understood that first, it was a chance to do something big, and second, to make a commercially stable and growing company, we needed to understand much more than one product, we couldn’t be a one product company. We understood the concept of drills and holes. We understood that people buy drills, not because they want to have drills, but because they want to have holes in the wall. So they buy the dictionary, not because they want to have the dictionary, but because they want to have the [??] but because they want to have translation, so original documents at that time most, actually, of the documents appeared to be on papers, in hard copies in user guides, technical documentations, and people had very hard time to retype as you said, to retype foreign language [??] sentence in order to translate with software. We understood we should put several [??] together in one package which will allow to scan to check spelling, correct spelling, make very gruff automatic translation, word by word translation and improvement with dictionary. We called this package from page to page, from language to language, we said that now you can press several buttons, put your document to the scanner, press several buttons and your printer will print out a translation and it will look like magic. Of course we told that it will be rough translation. You should check this translation quality first but anyway, it was so appealing that we increased our sales ten times immediately. Andrew: But you weren’t making every piece of this process. You were reselling other people’s software to make this flow beautifully. David: Yes. Originally we took other programs and put in one package and we were resellers and distributors of that, but very immediately we started to develop our [?? ], having that tentative [sounds like], background and originally, many years before in 1980s started this science in our university. We were able in one year from 1992 to 1993 to release first version of [??] reader, which the quality of recognition was higher than many other existing softwares and we started to substitute in this package other programs with ours only after we found the path to the customer. Only when we already built our sales channels and we understood our customers, we understood their needs and what exactly, what features they don’t like in existing software, we understood what to do. It was very important. Andrew: I’m wondering a couple of things. How you got those customers for one, but first, how did you know what those customers wanted? The idea of customers don’t want drill bits they want holes, that’s an American understanding and it’s well known within business circles but you’re in Russia. You were at a place where they didn’t celebrate business success and teach it the way they teach it here. How did you know it and how did you talk to your customers to use what you learned? David: In 1990s, probably even here in computer science in the IT industry not many people were so educated, however you are right that the level of marketing education in comparable was higher here [??]. Well, I think that we understood many things from our own logic and experience. We read some books actually. We also had some self education and we spoke to our customers because we were very close to customers and the brand awareness of [?? ], in one year we had, at the end of the first year we had 50,000 legal copies and the next year there were hundreds of legal copies so it helped us to deliver a new product with the same name [??] but it was a lingual dictionary and [??] second our package called Lingual Systems. David: The number of sales still was not dramatically higher, it was like counted of maybe hundreds of sales. But the price of the package was much higher. Now, the price together like $3,000 each of the package, so you can imagine if you have even 200 legal packages sold with $3,000 each, you receive kind of already significant revenue. Andrew: It’s also a tougher sale to make because you’re not well known; people don’t even believe you created the software, at least not when you sold it at first. Now you have to sell $3,000? How do you get $3,000 software packages sold when you’re not an experienced salesperson with relationships and open channels to your customers? Andrew: I see, you’re saying that the people never seen OCR, optical character recognition. The whole tings just doesn’t make sense. Is that right? David: I think we just, we had partners, we already built this partner. Andrew: Oh, what kind of partners did you get? David: Distributors. The market started to develop itself and become little bit more mature. So, there appear to some companies who mainly sold hardware; they sold scanners or sold computers and we bundled some software with…as a package. SO sometimes people bought a complete package – scanner, computer, printer, and a word translation software together, like ready to go from page to page, from language to language solution. Andrew: Do I understand this right, too? That back then, to copy your software, to pirate it, people would basically have to copy multiple disks, which would take an hour or more, and they had to walk it from place to place; and so, if you create a package of multiple pieces of software, for some one to pirate now, they have way more work to do and way more discs to keep straight and so it reduced piracy? It eased piracy? David: It affected it. This legal package was ten discs, actually. Ten, 5 inch discs – 512 kilobytes-each discs. Ten. So, 10 discs also takes time to format and copy. Yes, you are right, all that packaged together with OCR spellchecking and other, it was like 15 or 20 discs. So yes, more difficult. Most people still did this. They cracked our protection, copy protection, and they still did this copying. But again, we knew…we understood how to make sales right, how to get the right departments, how to sell the solution hardware-software together solution, how to talk to partners. So 100 copies is still so small now that you can do that. When you are saying about 100,000 copies or 1 million copies, then it becomes a different story. Andrew: One use of the software from what I understand from your conversation with Jeremy, was you started calling scientific institutes. They were starting to buy computers, but the computer manuals that came with the machines that they were buying were in English and they needed to translate them into their local language, and so you said these guys are going to be the perfect customers for use. They already have the computer. They need to know how to translate and our software will do it for them. In the beginning, you had this belief that you can create software quickly. When it’s just you and your partner saying “we can create software quickly” and it takes you six months or nine months instead of one month, it’s fine. What happens when it’s a customer, like a scientific institute, and they’re expecting software in a short time and it takes you longer. Do they get upset? Do they start to cancel? Do they start to spread bad things about you? Andrew: Early adopters are the best. They know that they’re cutting edge and their willing to accept some issues. David: Yeah, yeah. Absolutely. Yeah. David: Thank you to early adopters. They do have this kind of loyalty. Otherwise, it would never happen. Andrew: So then, I understand how you went to a dozen or so customers and sales, then hundreds. How to you make the big league? How do you go from doing hundreds of sales to thousands and hundreds of thousands? That’s a step that many people never get to take. What did you do? David: Of course our strategic decision was to go internationally. In 1994 and 1995, we understood that our software today, I mean, [?? ], first of all, recognition software is better, has higher accurate self recognition on many comparative tests. Not only on [??] language but even in English in comparison with well known brands, international brands. Understanding that we are now in a quality of recognition, we’re matching international standards and sometimes even higher, even better, gave us idea why not to present itself to say in the U.S. This was, of course, big challenge because U.S. market is tough, is very much specific to customer needs and distribution channels. We met our future partner, Dean Tang, who was owner and founder of its own OCR company called [??] Software and he was competing quite well in the [??] Software, but his software was not number one. His software was around three of best. Andrew: You’re saying that because you are so far superior to the competition that people were more likely to buy you as they were understanding what they wanted? David: We were not so better. We were a little bit better, but it was not enough just the difference in quality was not enough to make an immediate decision in our favor, so it was a problem of just building channels again and partnerships so we agreed with Dean that he will substitute his own product with our product. It’s like it will be private label, so we will change [??] your name to his brand name which was Presto CR but the product will remain the same. He will sell [??] under his name and start competing with [??] channels but now we give him better quality of product and it was successful strategy. He immediately became very well known OCR software in the U.S. but later on we decided, he decided that he will switch to our name. Finally there appeared American market with a good competitive [??]. Andrew: Why would he give up his name and give it to you when it seemed like that was the last piece that he owned? David: I think it was very smart decision from Dean. He has this explanation in Chinese. His Chinese have strategy of martial strategy. I think that, see, I’m the student. If he always will just be [??] seller of somebody’s product, he will always be on second tier positions. So you can’t build your vague strategy just relying on one vendor. Andrew: Then doesn’t he become second tier forever by handing you both the product and the name so essentially he’s just reselling your product. It no longer is Presto OCR being made by him, it’s not even Presto OCR and definitely not his software either. David: Because he became a part of our company. Andrew: I see. You acquired him? David: Yes. It was merging [??] and I think it was very important strategic decision from both of us because we shared and he shared, we both shared our experience. He shared his experience in marketing. We shared our experiences in technology and very quickly [??] became leader, one of maybe two, three leading systems in [??] and then very similar merger appeared in Europe with our European partner, very similar merger appeared in Eastern Europe so actually we had the year 2000 we already had four or five international offices and subsidiary companies. Andrew: Through these kinds of mergers? Andrew: You started the company with, well in the early days you were working with your wife. Is she one of the founders? David: Yes. She joined the company, I think, third or fourth person in the company. Andrew: What’s it like working with your wife in those early days when it’s non-stop work and you’re living with her, you’re working with her, people, were they coming into your house at the time to have meetings with you? Tell me about [??]. David: Our first office happened to be in our apartment which we rent, so we were students and we didn’t have our own real estate and we rent and our first office was right there where we lived and vice versa. We [??] another apartment later, two bedroom apartment for our office and we actual, again we lived in one corner, with my wife and all of that in the office. People now, our customers came there to buy our software and another person made pizza in the kitchen during the launch and this was really a funny place to leave work and talk to customers. Andrew: Was it stressful on the two of you or is it the kind of situation that can bring you together? David: No. It was not stressful. I think I don’t understand people who say that you shouldn’t work with your wife, you should work different companies because otherwise you don’t have topics to talk during the evenings and nights. Andrew: Because you’re always talking about work and you’ve talked about it during the day so you’ve exhausted that one topic that you have. David: Yes. I think we were exhausting to talk about work during the day so when we became a long way just spoke about literature, about music, about movies. Frankly, not so much spare time we had. First vacation, not vacation, even holidays, weekend days like Sundays and Saturdays, actually we had only after two and a half years after we began. First [??] years . . .
Andrew: You didn’t get a holiday until . . .
David: . . . first two years we neither had just normal holidays, one week, two weeks, holidays. No. We even didn’t have weekends. We were working even Saturday and Sunday, it’s true. Andrew: Do you remember earning your first million dollars in sales? David: Yes. I mean it was somewhere in the ’90s, but no celebration I think. Andrew: No celebration. Why not? Andrew: You just continue with your business. David: We continued what we were doing. We were developing new things and just once we opened our Excel sheet and said “Wow! Actually this year we exceed our revenues – our revenues exceed one million dollars” but I don’t remember we did celebration. Andrew: What happened when the financial crisis hit Russia in the, what was it, the late ’90s? David: Yeah. In 1998, it was a big financial crisis in Russia. The stock market went down, like, five times or… I mean, enormously. And revenues of most IT companies went down about 2 times. And immediately, the only way to survive, most companies actually what they did- they laid off people. But we were lucky when it was not their story, time when we increased our, improved our positions. We didn’t fire anybody. Just, we were able to keep everybody in the company. Not because our revenues … weren’t – didn’t decline. Our local revenue declined as well. But first we had some revenues from international revenues which helped a lot. Second, we had very high loyalty from our people and our team and we just said that “guys, this are our financials. Our local revenues declined two times and we can’t pay the same amount of salary as we normally pay. We can pay only half. But we promise to … to give the rest part, the second part of the salary paid back someday, with 6% annual interest. We don’t know when, we can’t promise the date and the year we can pay back, but we promise to do that as soon as we can. And it’s your decision whether to leave the company or to stay with the company. Whatever you will decide, even if you will leave in a year, we still will pay back all the 50% we owe you.” And people, nobody left. Just nobody. Everybody stayed with the company. It was 1998 and we paid back all the loans to our people in 2000, in two years, with 6% interest. So, that I understood that the team is something which is really the number one factor, if you’re in the business, in your success. Andrew: I want to ask about one other setback and then maybe talk about this interesting hobby that you’ve got that I didn’t expect when I read about you. But the other setback was, earlier on, you had bought a dictionary that had a problem, right? Where you ended up having to type without using the letter ‘K’. What, what happened there? I don’t know the full story. David: It was the first …1989 when we just developed the first version. I told you that we had borrowed $3,000 in order to pay for the content. David: And the company who provided the content, they failed in terms of time. They delivered the contenting, again, in eight months, not in one month. But, one week we got 20 discs of the content and we couldn’t check all 20 discs. We paid, we got, and when we opened this we understood that the K letter is missing. Andrew: So, what do you do when K, an important part of the alphabet is missing? We’re not talking about Z.
David: It was a big part of the dictionary. Well, we about one week before the shipping date to our first customers. The first customer already was waiting six months and we promised in a week we will deliver everything to you. And then we understood we didn’t have K. For a week, every night, me and my partner we just two fingers, because we didn’t type at that time, now I type ten fingers, but then I didn’t, and two fingers, every night we spent and typed this K letter and didn’t sleep. I mean, we almost didn’t sleep one week. I also want to know why you’re not at the company, but first I said you had this interesting hobby, mobs. What kind of mobs are you creating? Obviously, not the kind of mobs we’ve . . .
David: Flash mobs, yeah. I left ABBYY in 1998 from the CEO position. Andrew: You still stayed in as Chairman of the Board, right? David: Yeah. I’m still Chairman of the Board. I am a shareholder, but the company grew up and I have very successful partners who started the company with me and I decided to start a new project called Zydeco. It’s a handheld communication computer which allowed teenagers to meet each other, find each other. It’s like a boy can enter information about himself . . .
Andrew: I wish I could show people an image of it because we’d recognize it if we saw it. It looks like a rectangle with jagged edges that kind of resemble the finger print holders that people could type on. I remember seeing it and I remember blogs talking about it. David: Yeah. We developed this radio protocol and operating system and hardware. We developed everything. The first year it was sold in 2000, we sold 250 thousand units in the U.S. People recognized us in the streets and it was a really big buzz. I think this local chat and the friend finding feature, it was a first kind of attempt to build a location based social network. No such word, social network happened at the time, even no texting. But still it was very funny. Then a local, U.S. economical recession and the NASDAQ crisis happened in 2000. So, we…the project [?? ]…we decided to…to discontinue and to reorganize. So, after [??] project, I had some spare, free time to finally have some rest, sleep, because I didn’t [??]. So, no sleep at all [??]. And, that time I found that, this very interesting thing happens – flash mobs. We did our first flash mob in two or three months after the first flash mob happened in [??] and in New York. It was, I think, year 2002 or 2003. And, we, since that time, we have conducted 50, 50 flash mobs. Three of them were international flash mobs where thousands of people from 30 countries, 130 cities participated, simultaneously. And, it was a great time. Andrew: And, this was just for fun? I wouldn’t have expected that the founder of such a big company would be organizing flash mobs. I would have thought it would be an artist or a student. Andrew: Sounds like a fun way to spend a year. Andrew: What size revenue is Abby doing right now? Andrew: Can we estimate over ten million with those numbers? Or 100 million with those numbers? Andrew: Give me, what I mean is, can you give me the neighborhood without getting anywhere close that it would be that a competitor would know. Give me even like a broad range between what and what, 50 and a 100? You can’t even say that? Andrew: I know. And, they must be laughing. That’s my guess. Andrew: So, here’s what I see. I should have done this before. I don’t know what’s wrong with me. According to Harvey Spencer Associates estimates that the volume in this market 2011 was around $2.4 billion. That’s the market. Annual revenue for market leaders can be put at several hundreds of millions of dollars. ABBYY’s revenue jumped 46 percent, and then it gets cut off. I should have bought the press release. That’s what happens when you don’t pay. When you don’t pay, you don’t get to know. I should have paid for it before we started, I didn’t even think to look. David: It’s OK. Again, we are growing very fast. And any numbers, even good estimations, sometimes become lower than they actually appear. I think that very soon we will disclose all of our figures. We definitely are, today, in a strong national position in data and document capture. Andrew: I can see that you guys are doing exceptionally well. I’m looking at all kinds of numbers here online that I should have looked at before. But really, it’s not about the revenue number, this isn’t a stock trading show, though, thank you reporter, Link News, for giving me clear understanding here. Clear, but not clear enough. So, what I’m going do instead is say, you guys are clearly very successful. I’m going to wait for the IPO to find out exactly where you’re revenues are. Next time I’m going to do my homework, I usually do. I thought that I would have looked this up already, but I don’t have that data. It is an incredible story. One of the best parts of it is that you said your grandfather started off with two fists in his pocket, meaning, no cash, but the willingness to fight. I love that willingness, and congratulations on everything that you’ve done with that fight. Thank you all for being a part of this interview. The company, of course, is ABBYY. Bye.